Great breakfast. Only 300 meters to MRT train station, from whence we could travel VERY cheaply to anywhere we wanted to go in Singapore. Bed was very comfortable. Room was spacious with all amenities. Good washing / dryer combination machine. The location is very close to shops and restaurants.Staffs are very friendly and helpful.Room is very spacious and clean.There is a washmachine and clothes rack in the room.It is very convenient for families with kids. Great variation each morning on the breakfast menu . Great comfortable bed. Great location. The staff were friendly, professional and attentive. 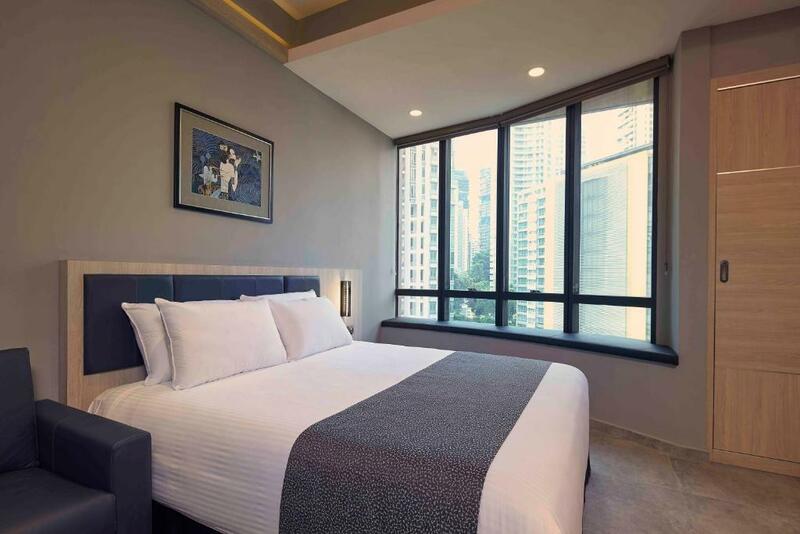 The facilities are fantastic and the location is perfect, only 500mt from Orchard road and a 24 hour supermarket below the hotel. 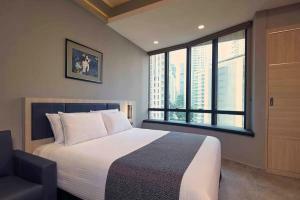 Great location, only 300m walk to MRT, excellent breakfast room/cafe and many food options. Nice pool and gym. 1 bedroom apartment was perfect for 2 people, great to be able to eat in after a busy day out, and to be able to do our washing and drying without coming home with piles of dirty laundry to do. Very satisfied, location is great at only a five minute walk to the MRT, (a tourist pass is good for three days and saves a lot of hassle). Apt may need a bit of decoration to feel a bit more welcoming but otherwise very comfortable and clean except for some ants in kitchen. Love the convenience of NTUC downstairs and local hawkers, plus proximity to Orchard Road. Staff were wonderful and very helpful. The breakfast was good with lots of choices. Had North American and local food options. The location of the restaurant was a bit unusual as you had to go outside of the hotel and then back in to the restaurant. Not far but just different. 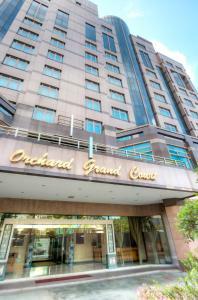 ท่านต้องการเข้าพักที่ Orchard Grand Court เมื่อไร? An ideal location for weekly stay (7 nights & above). 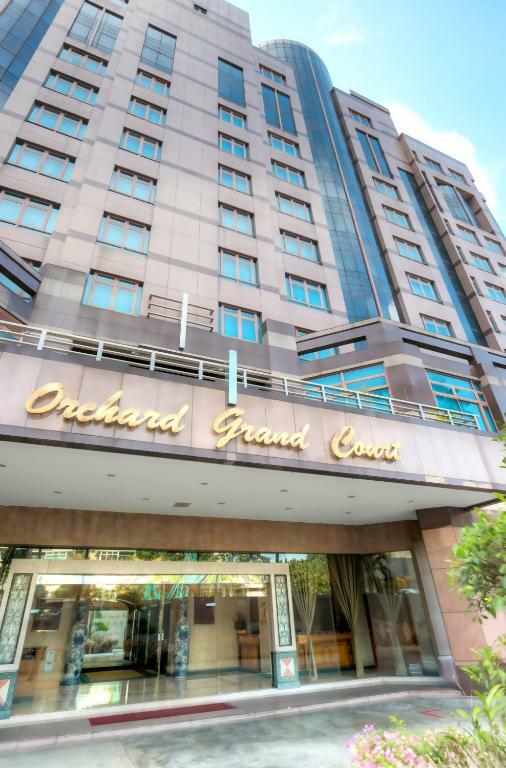 Orchard Grand Court is just 5-minute walk from the lively Orchard Road and the Somerset MRT Station yet an tranquil oasis from the bustling city. It is a great choice for travellers who are interested in shopping. Travellers are able to access tourist attractions, Clarke Quay and Boat Quay, Gardens by the Bay and convention venues, Suntec City & Marina Bay Sands Convention Centre within 5 to 15 minutes by taxi. The spacious rooms are air-conditioned and equipped with a flat screen TV with cable channels and coffee/tea making facilities. It has a private bathroom with bathtub, hairdryer and free toiletries. Guests can also relax at the outdoor pool, sauna or have free usage to the on-site fitness centre. 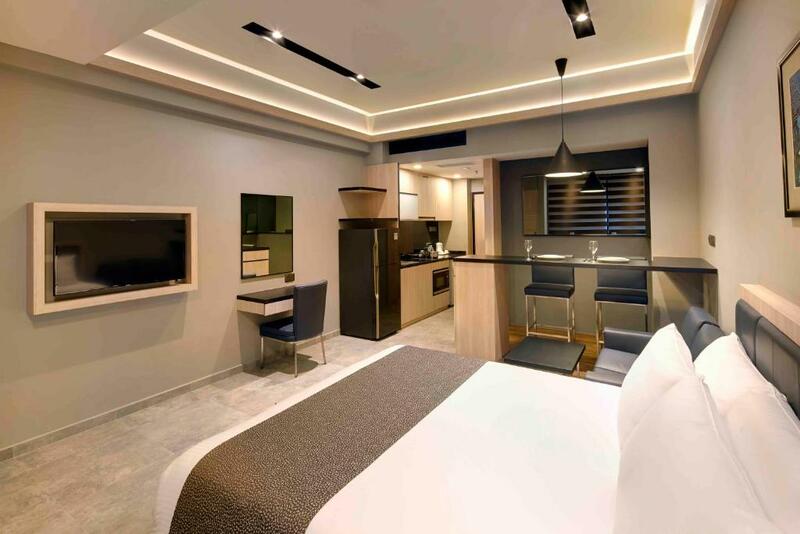 Unlimited free Wi-Fi access is available in all rooms Although the Service Apartment does not have a kitchen, the on-site restaurant serves both local and international cuisine. There are other eateries in the immediate surroundings and a 24 hour supermarket within the same premises. 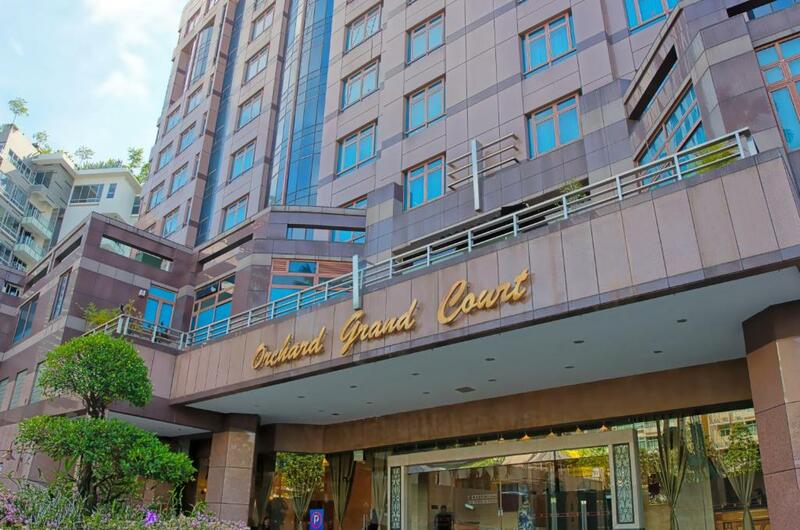 สิ่งอำนวยความสะดวกของ Orchard Grand Court 8.3 คะแนนสำหรับสิ่งอำนวยความสะดวกชั้นเยี่ยม!